The Mayo footballer claimed Sports Book of the Year at the An Post Irish Book Awards last night. Last night saw the 2018 An Post Irish book awards and female authors performed extremely well. Indeed, this year has seen an exceptionally strong calibre of female-written literature in both the fiction and non-fiction categories. Sally Rooney's, Normal People won Novel of the Year, Emer McLysaght and Sarah Breen's witty sequel, The Importance of Being Aisling claimed Popular Novel of the Year while Newcomer of the Year was nabbed by Emilie Pine with her book, Notes to Self. Lynn Ruane's People Like Me, which centres on the author's troubled youth growing up in Dublin, achieved Non-Fiction Book of the year and GAA All-Star, Cora Staunton won Sports Book of the Year with her first book on the GAA to be penned by a woman. 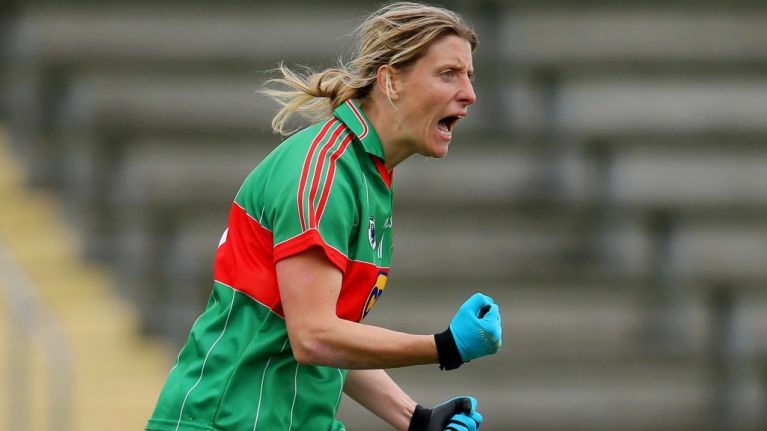 Indeed Cora, who has enjoyed great success on the GAA pitch, winning 11 All-Stars to date and becoming the highest-scoring forward in the history of ladies football, has now proven her literary talents with Game Changer. Published by Transworld Ireland, the book promises to explore "the triumphs of her career and the personal struggles that have plagued it" and also touches on the under-resourced world female athletes have to contend with. The thirty-six-year-old sadly lost her mother at just sixteen, which she speaks about in the book. It is an honest account of the highs and lows of her life on and off the pitch. A huge congratulations to Cora on her award!